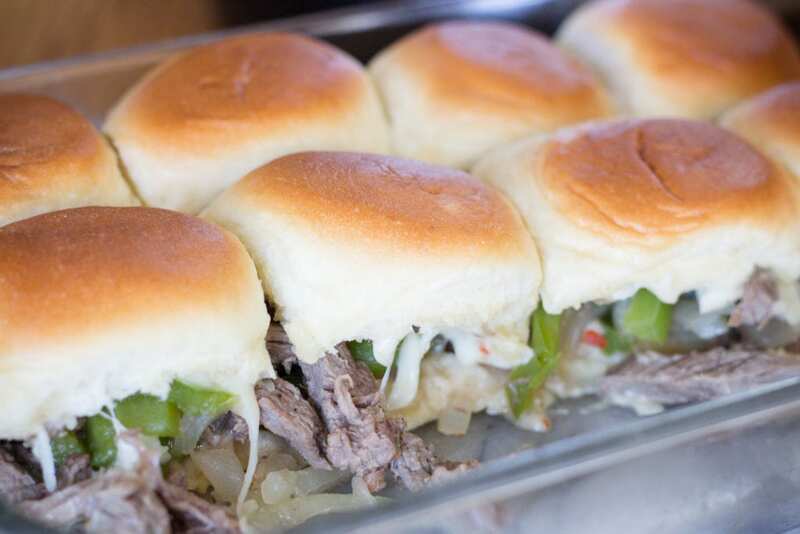 Hawaiian Rolls make the Best Sliders and Philly Cheese Steak Sliders are truly among the best sliders you can make. Don’t believe it? 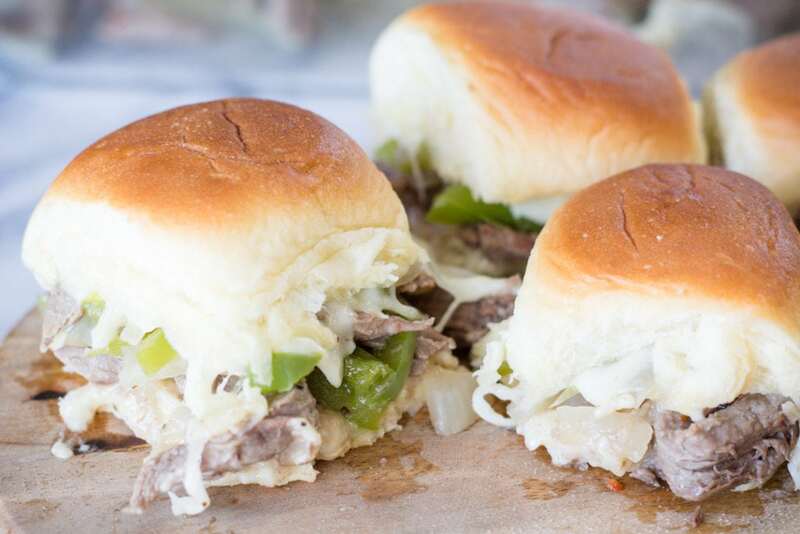 Make sure to ask your family after you’ve made these mouthwatering sliders! There is something about a Philly Cheese Steak Sandwich that just makes me smile. I love the combinations from the Bell Peppers and Onions to the mouthwatering tender steak and of course CHEESE! I like to first Saute’ my steak in some olive oil, just to sear in those juices and flavors. Waiting until the Instant Pot reads “Hot” is key! 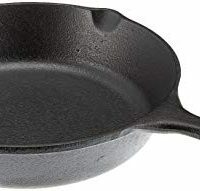 Don’t forget to deglaze the pot. This is where you lift up the bits that may have stuck to the bottom. 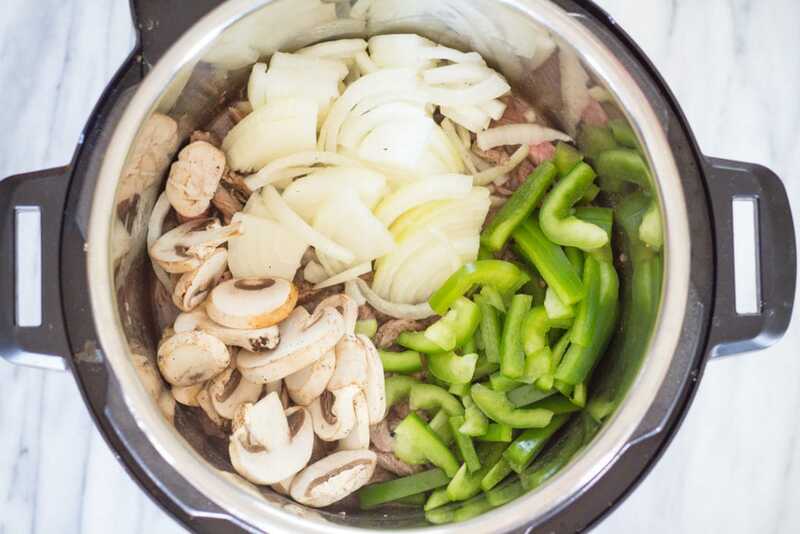 It’s easiest to add your beef broth and a wooden spoon and scrape the bottom of the pot. 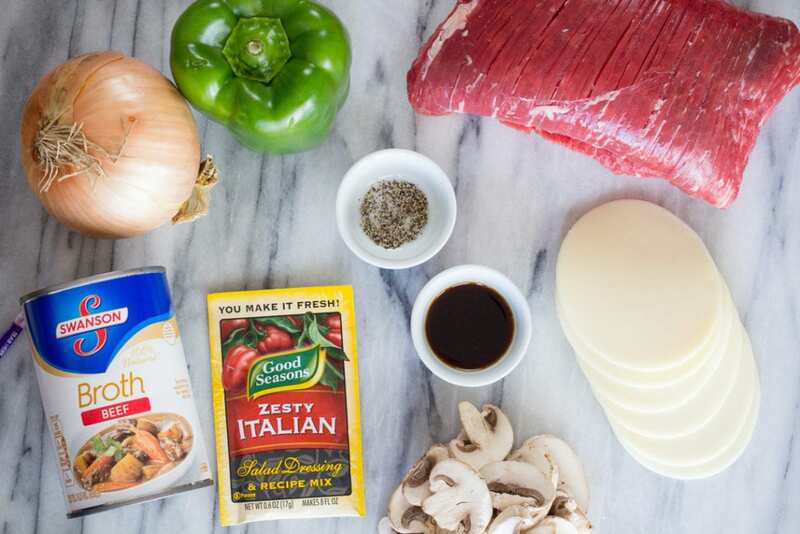 Add in your sliced onions, bell pepper and mushrooms along with the Italian Seasons packet. That’s the key to all those delicious flavors. What Rolls can I use for Sliders? 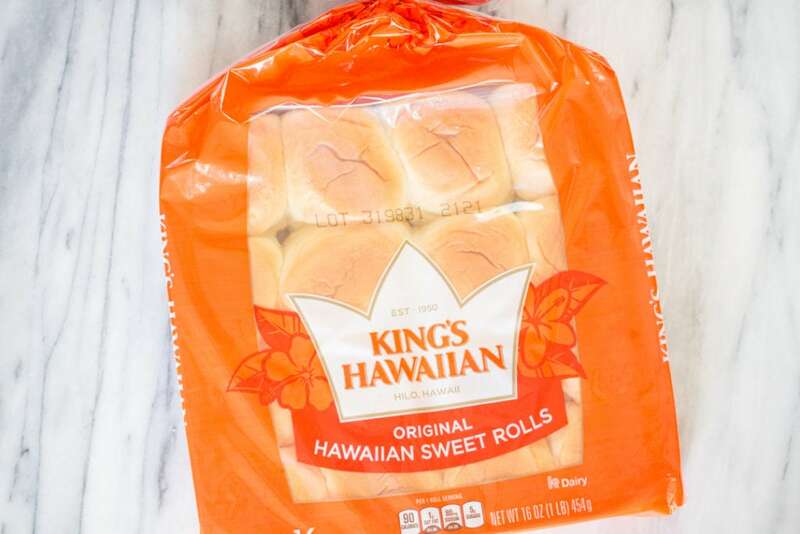 I prefer to use Hawaiian Rolls, why? Well, they are the perfect size and they taste great. But any roll will work! Let me tell you, when made in the Instant Pot, there is the most delicious Au Jus made and packed full of flavor. Don’t believe me? Just make some for yourself. 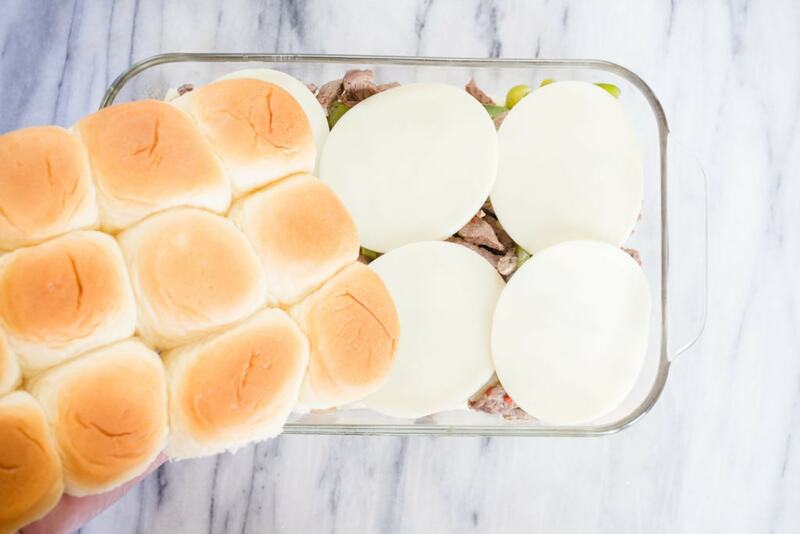 These Sliders are too good not to dip! I prefer to use a Flank Steak. It is more expensive, however it is such a tender cut of meat and when sliced thin works perfectly for this dish. This recipe cooks for 1 minute. That’s right, it’s a super quick cooking time so the Bell Peppers and Onions don’t turn to mush. That’s why it’s so important to use a tender cut of beef. Flank Steak is my preference for this recipe. My boys absolutely love this recipe. And they are quick to come home when they hear I’m going to make it. 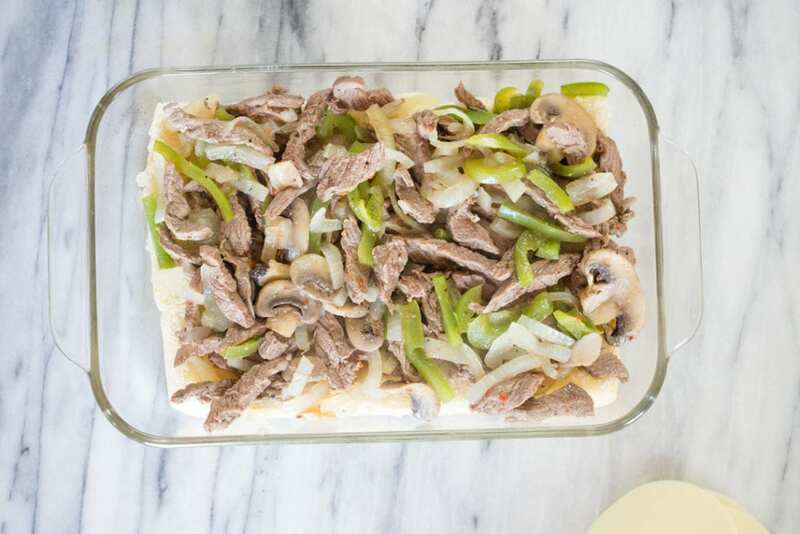 As a mom, I do enjoy how quick and easy this recipe is to make because I can throw it together for any occasion. 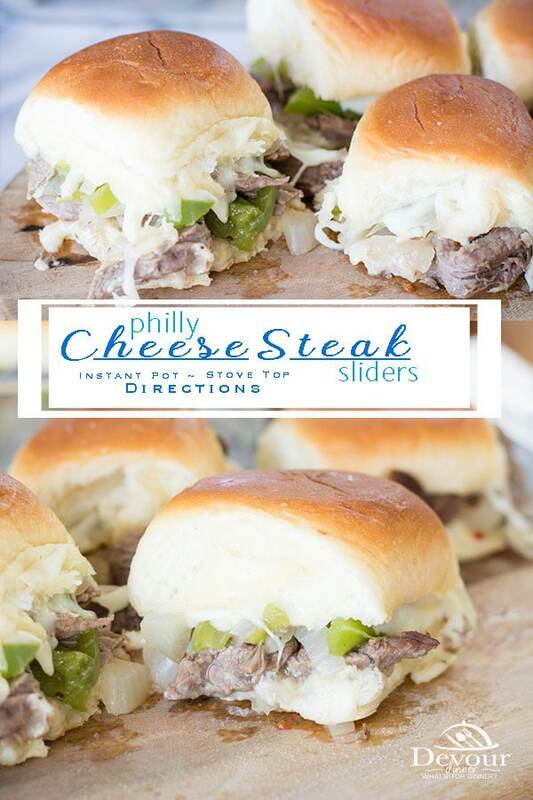 Check out this Facebook Live Demo showing step by step making these Philly Cheese Steak Sliders. 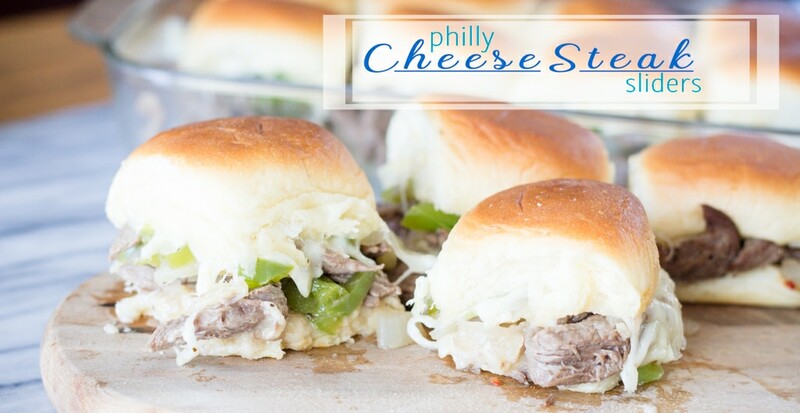 Philly Cheese Steak Sliders can be made in either the Instant Pot or on the Stove Top! Both are DELICIOUS and SUPER SIMPLE to make. See the directions in the recipe card below. Looking for more GREAT Sliders Recipes? 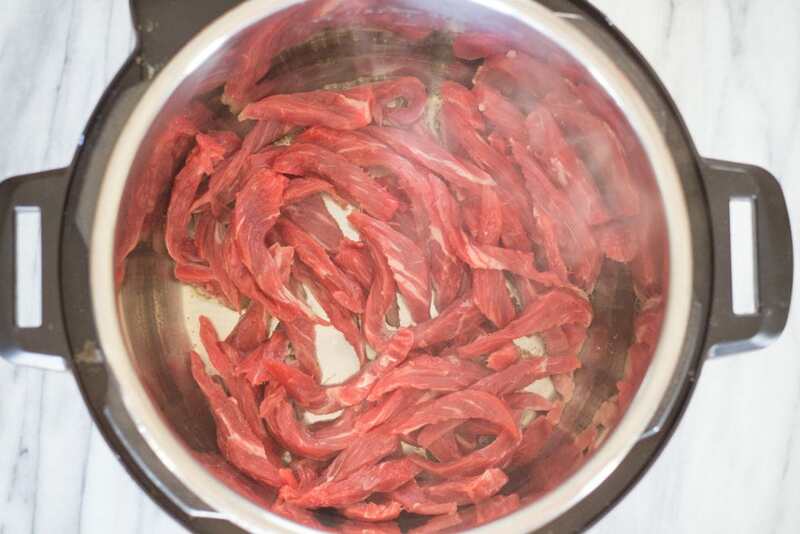 Add Olive Oil to Hot Instant Pot and wait until the oil is heated up and the Instant Pot reads "Hot"
Add sliced Flank Steak and Saute for about 45-60 seconds and then turn over and saute for an additional 45-60 seconds. With a wooden spoon scrape bits of stuck steak off the bottom of the Instant Pot. Add Provolone Cheese to top and place the top of the rolls on top. 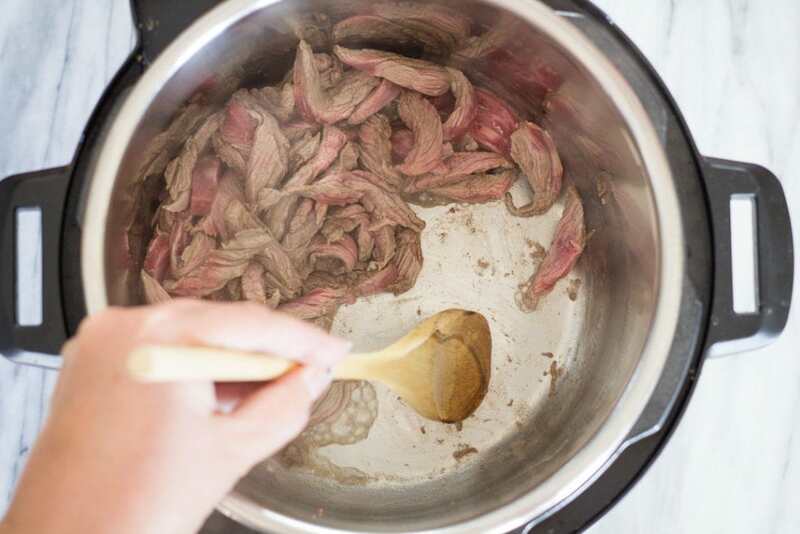 Add sliced Flank Steak and Saute for about 60 seconds and then turn over and saute for an additional 60 seconds. get in my belly NOW! These look so good. I always need pressure cooker recipes, so woohoo! I’m totally pinning this for later! Sounds like the perfect summer bbq treat! Another delicious recipe! 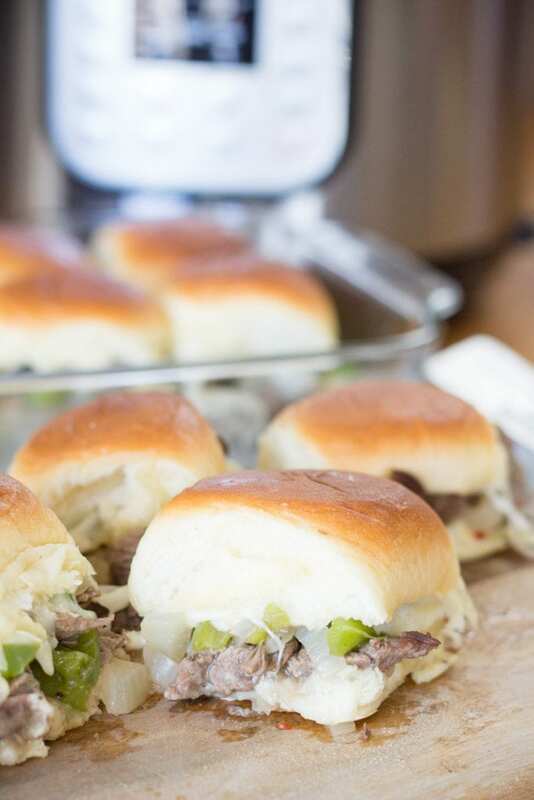 I love sliders, and these are no exception – yum! These look delicious! 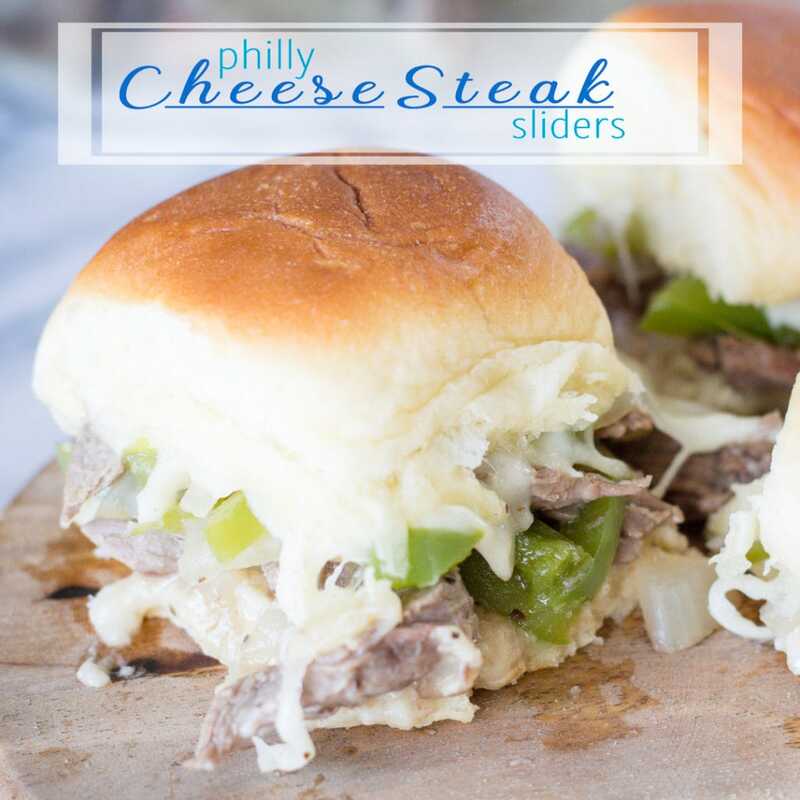 We love Philly Cheesesteak, and these look quick and easy to make! Yum!!! These look delicious and I’m definitely adding to my dinner list!! These look super delish & easy!